For his contributions in systematically applying the cognitive psychological approach to studying different aspects of the Philippine educational experience. He has applied cognitive psychological theoretical frameworks, constructs, methods and analysis to understanding specific psychological processes related to mathematical learning and problem solving, the role of language in learning, literacy development, student academic achievement, teacher development among others. 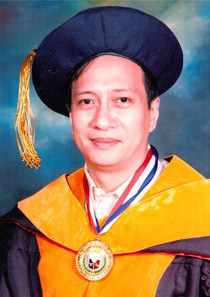 In his well-defined long-term research programs, he has combined these tools of cognitive science with critical socio-cultural analysis, resulting in a body of work published in international and national journals and books that features highly theoretical cognitive models and also contextualized and practical analyses of various educational phenomena.